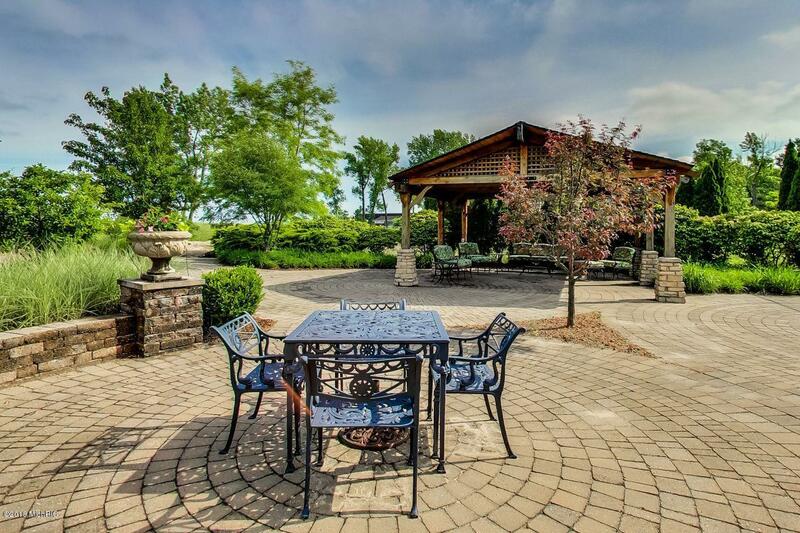 Full Description: Magnificent gated 14,000 sq. 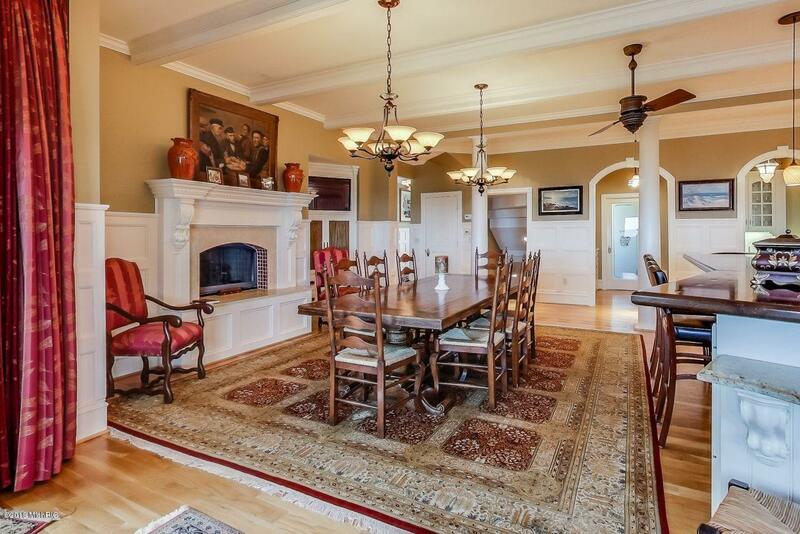 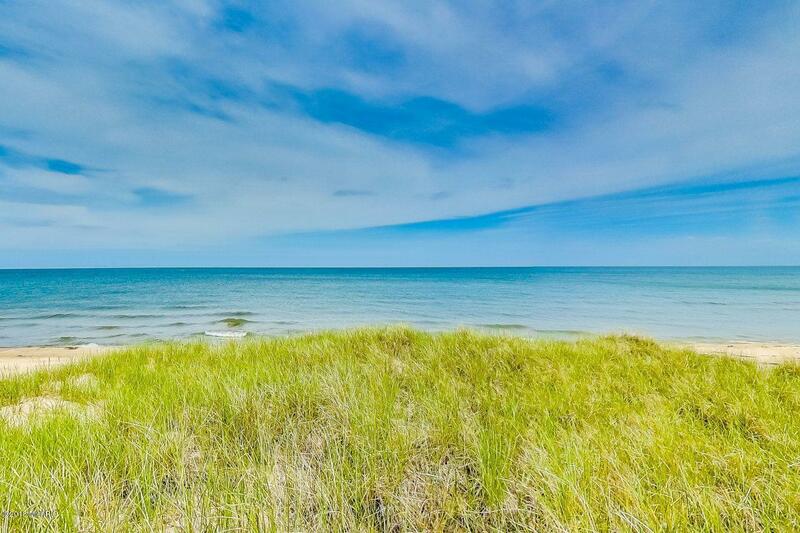 ft. Hamptons Style lakefront residence with 100' of breathtaking littoral Lake Michigan frontage. 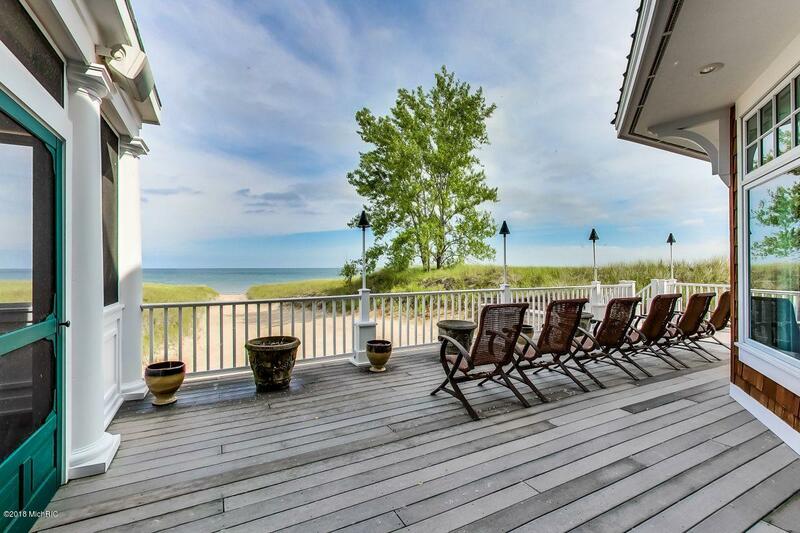 Numerous decks and screened porch with expansive views overlook the wide sandy beach. 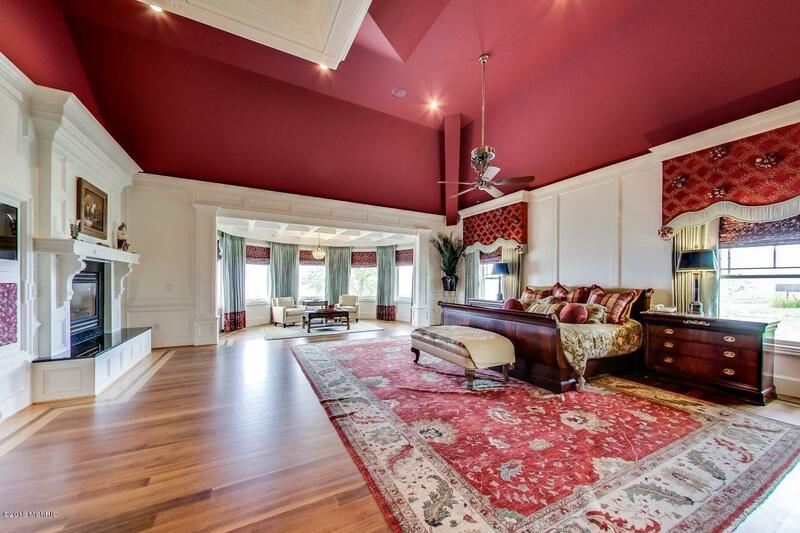 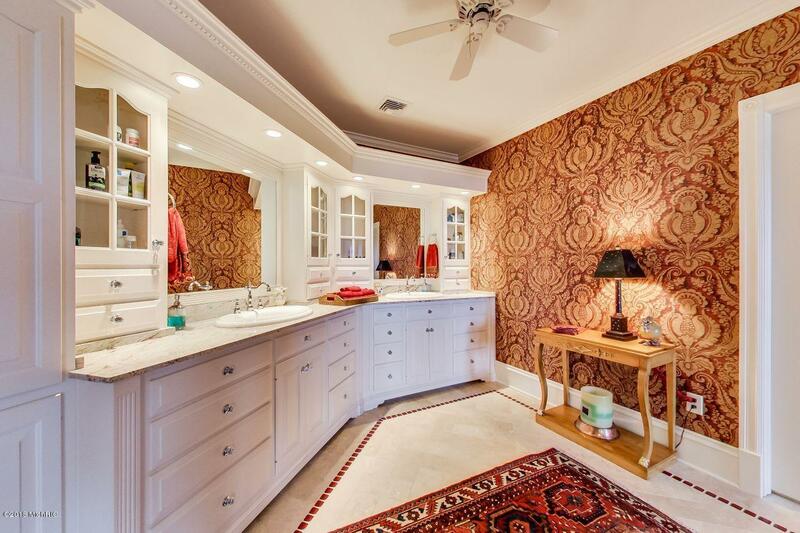 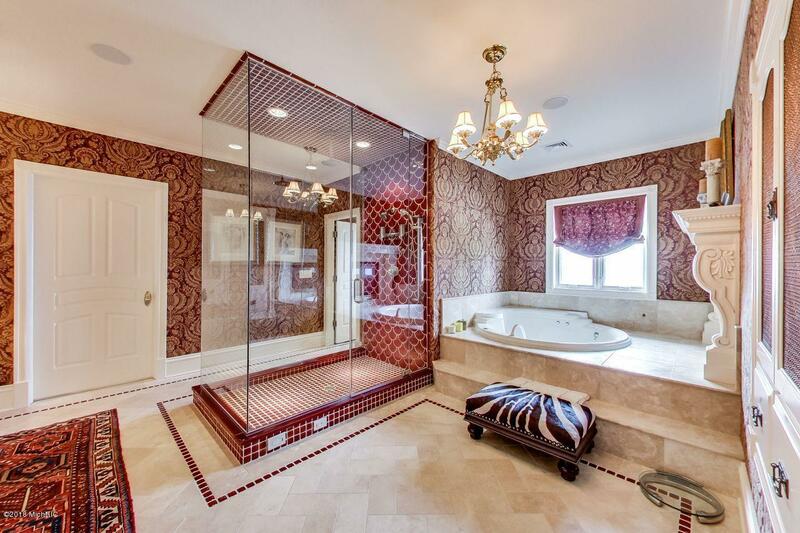 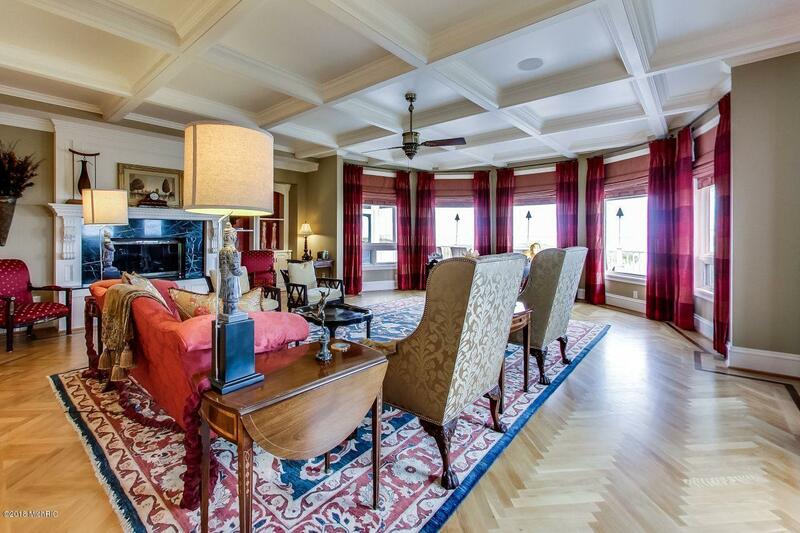 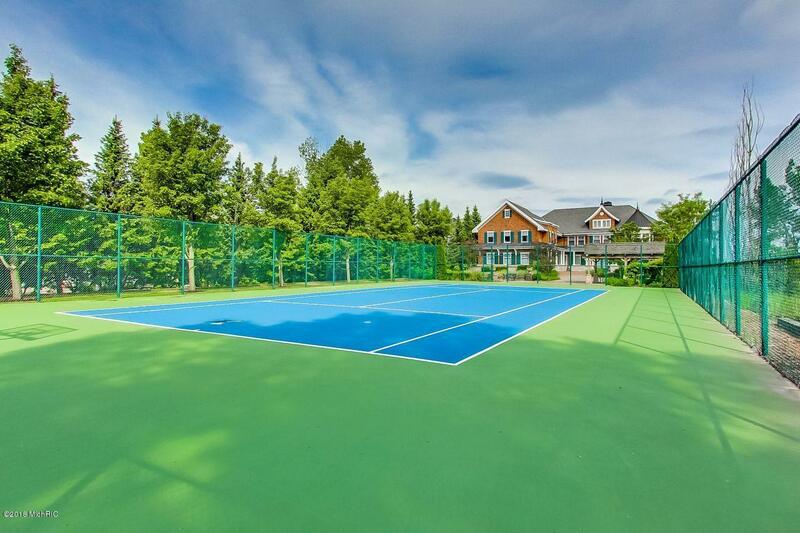 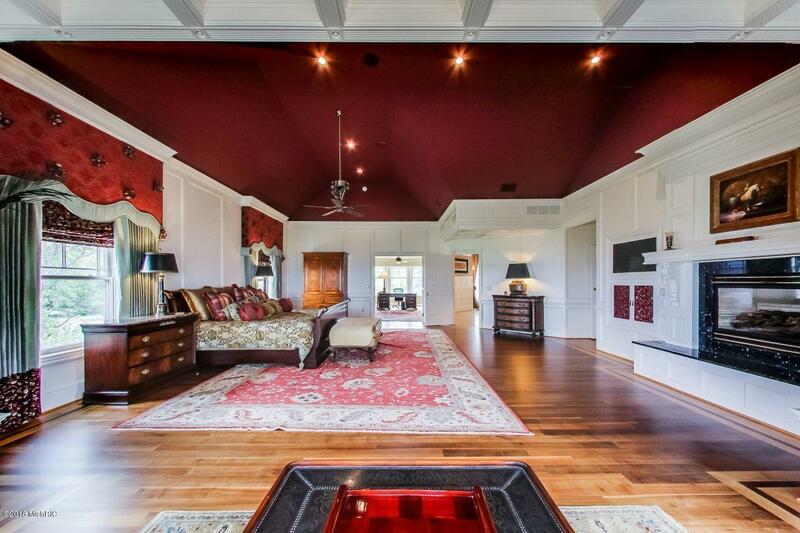 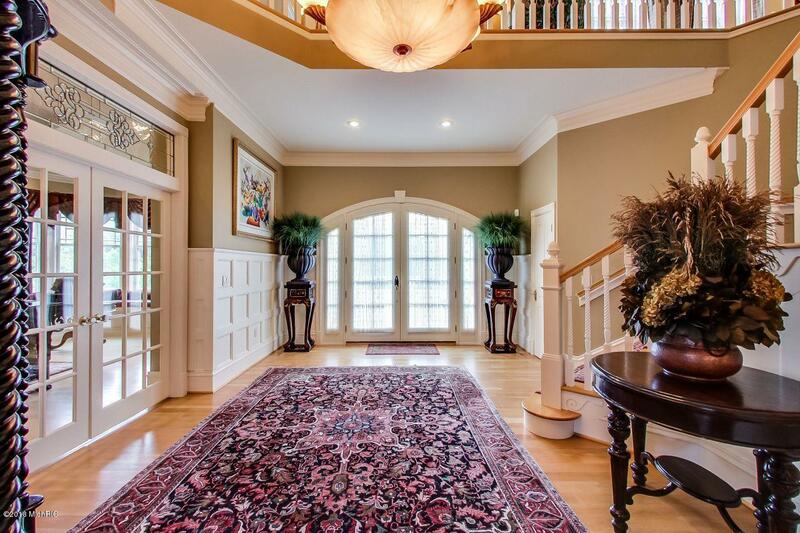 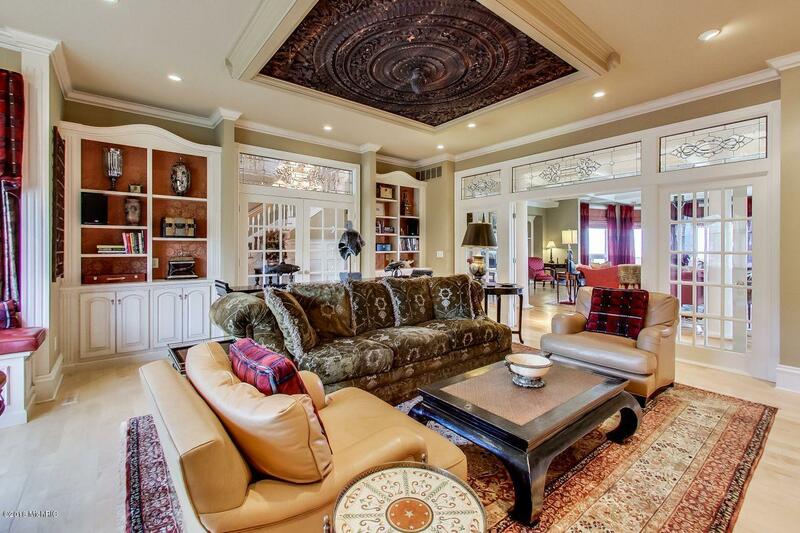 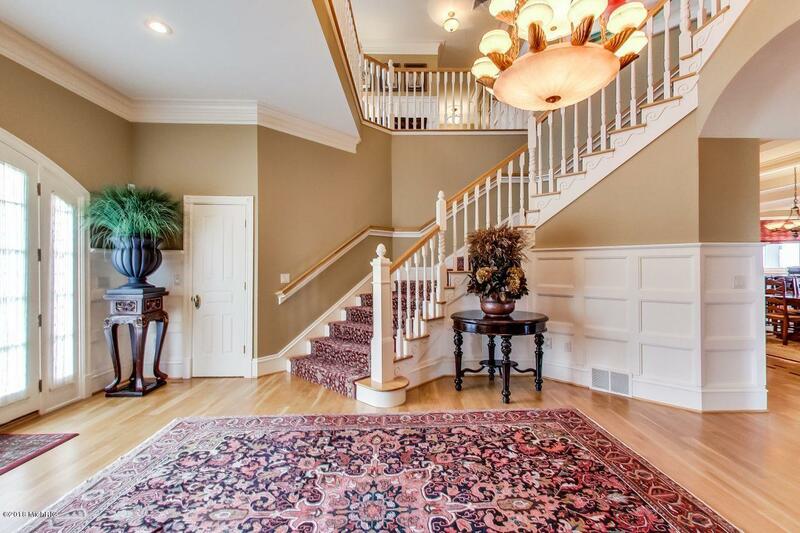 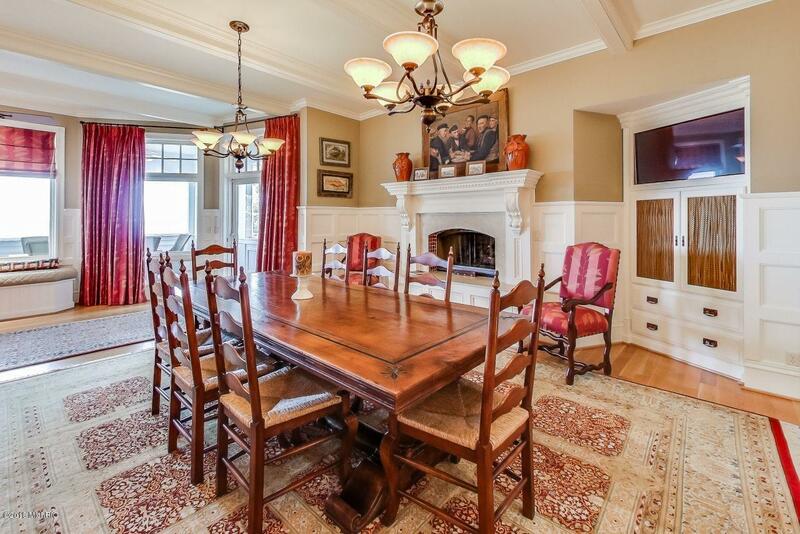 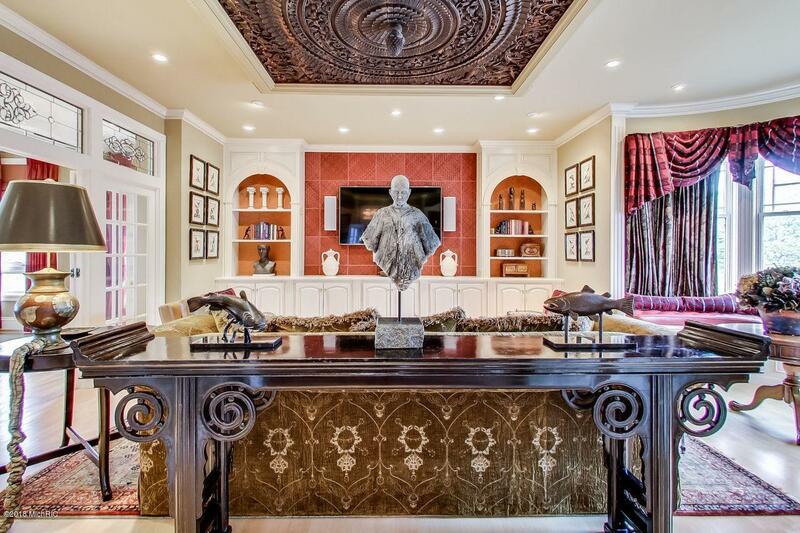 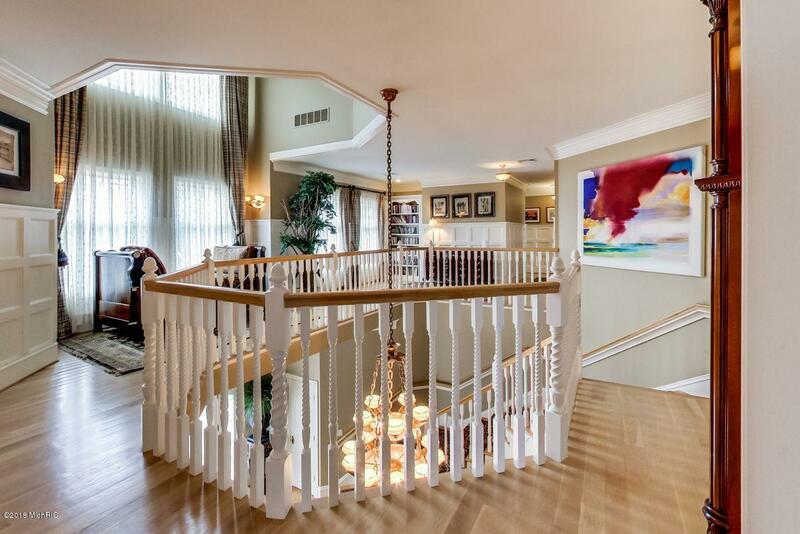 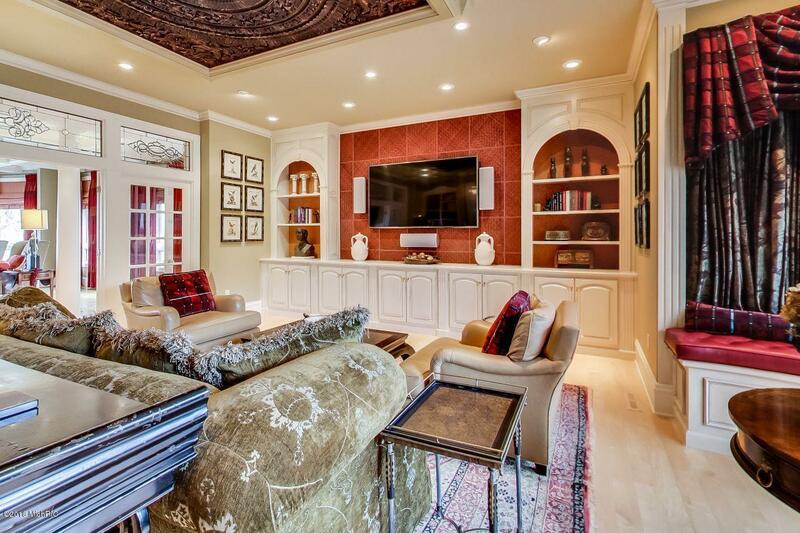 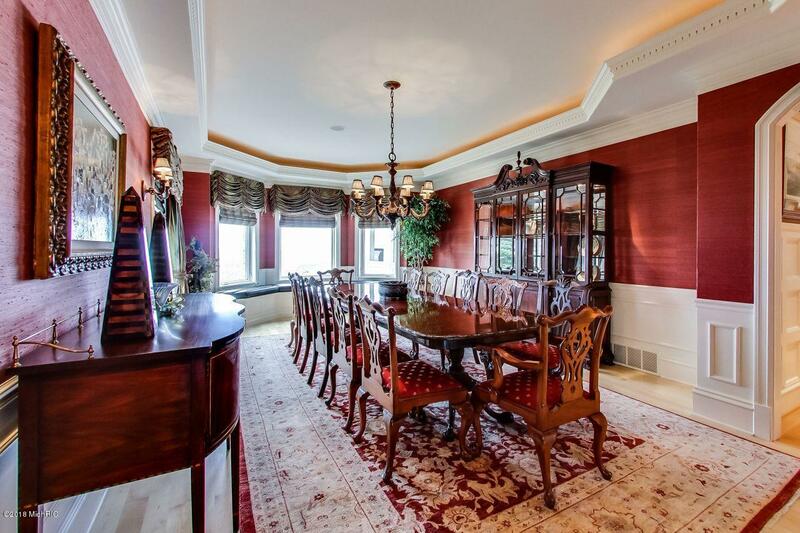 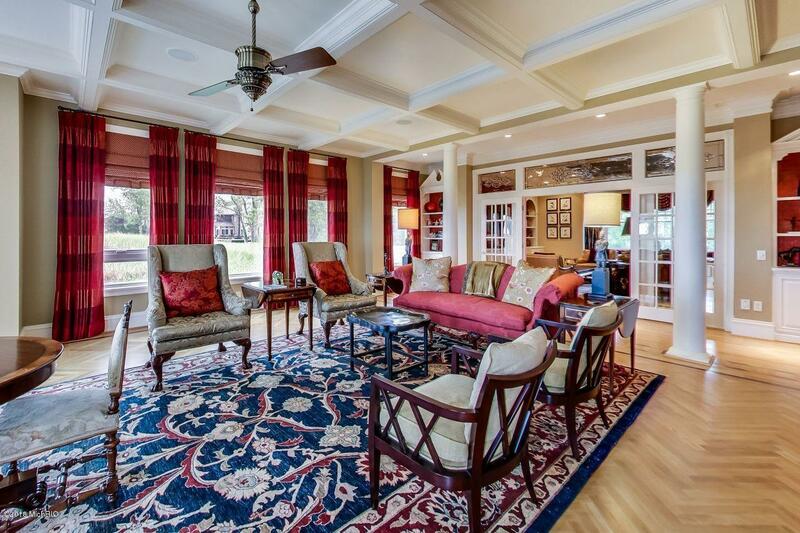 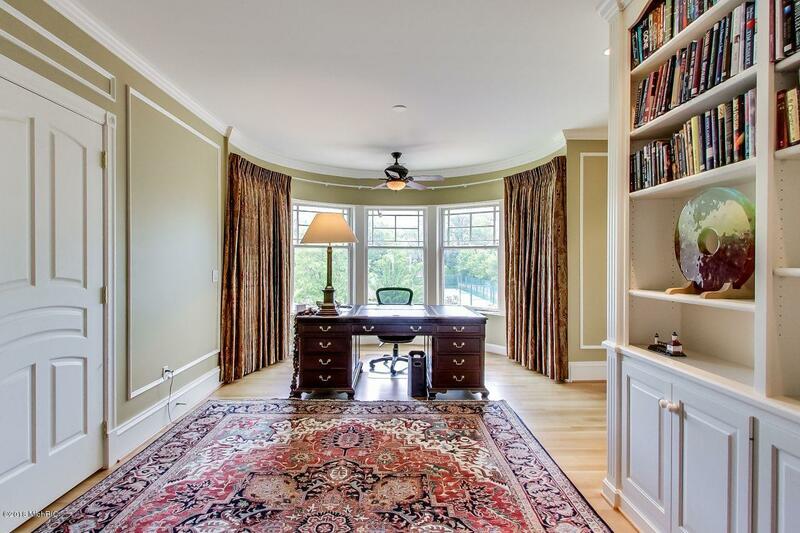 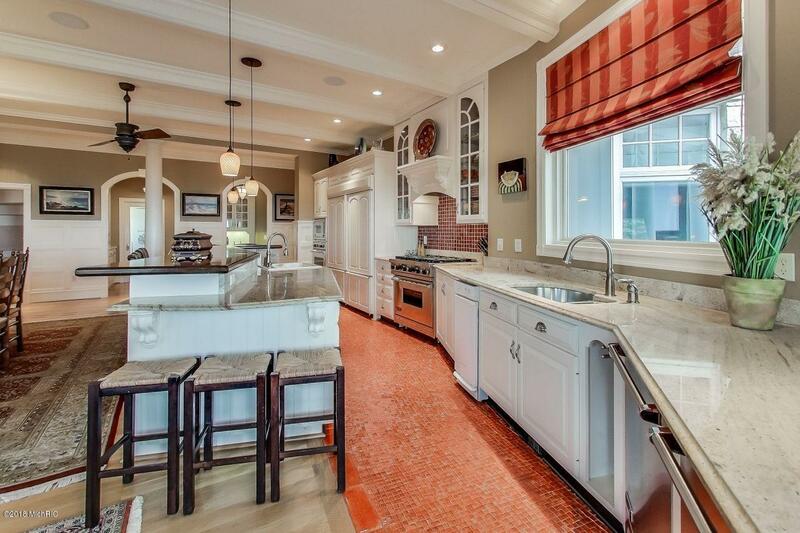 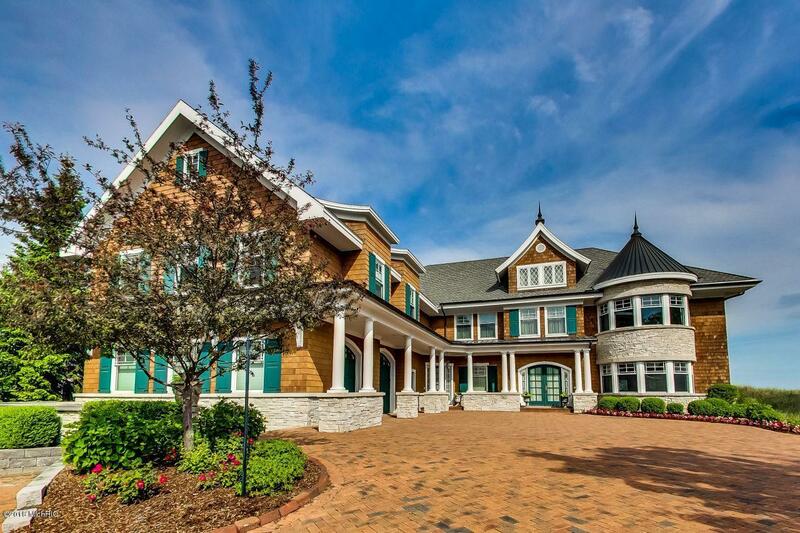 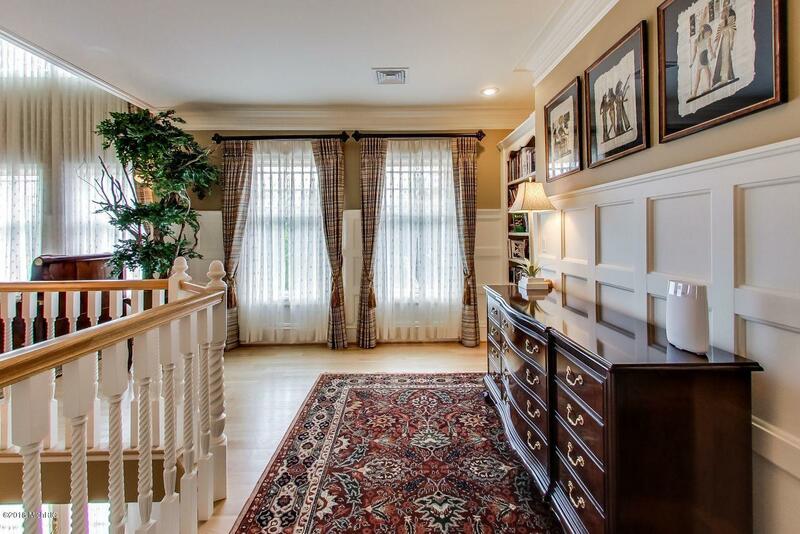 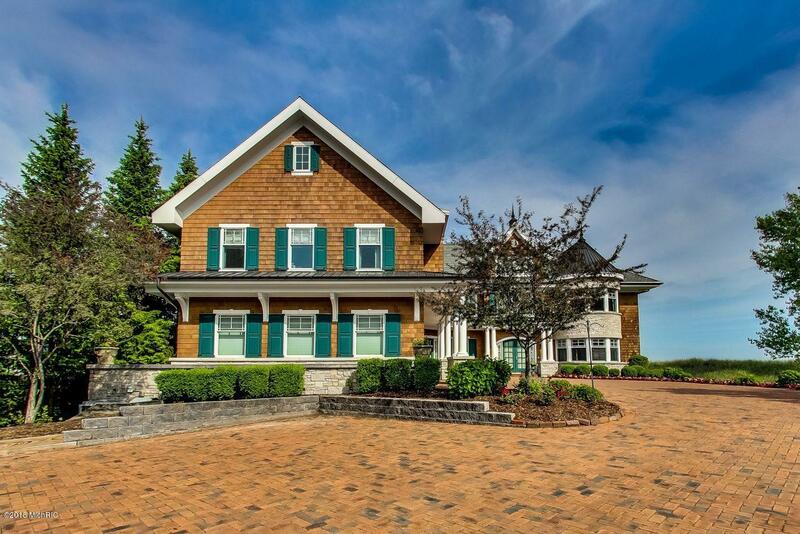 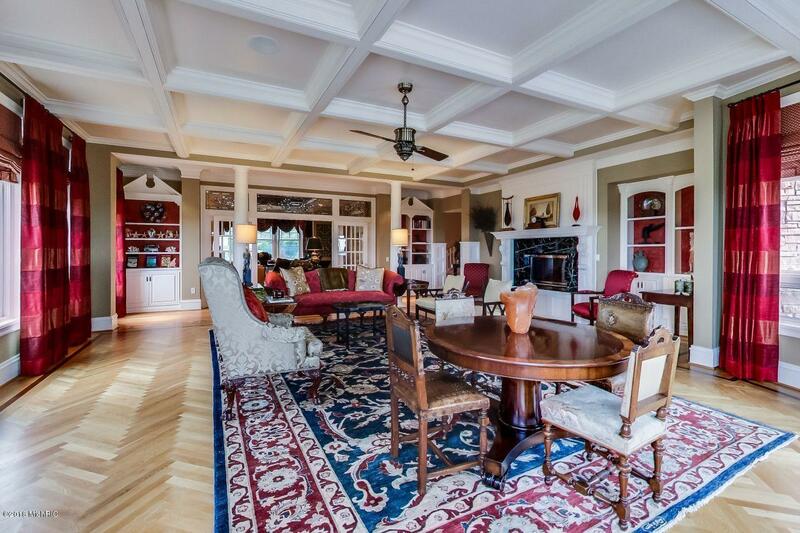 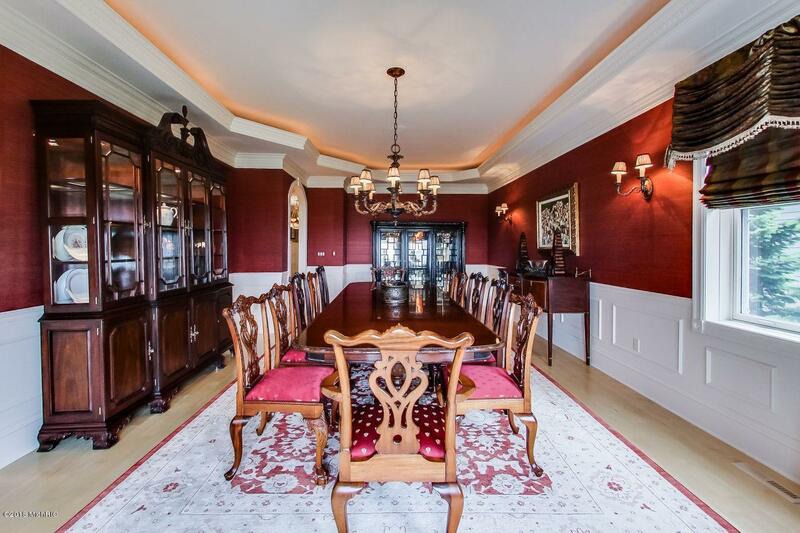 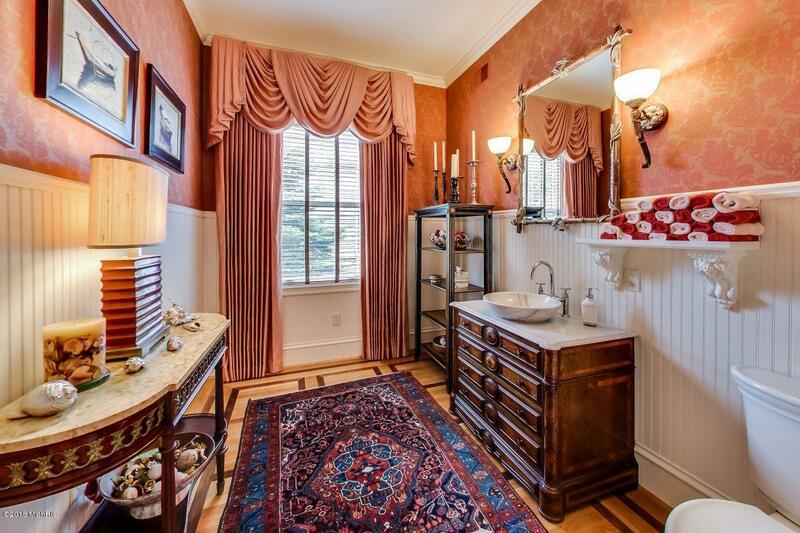 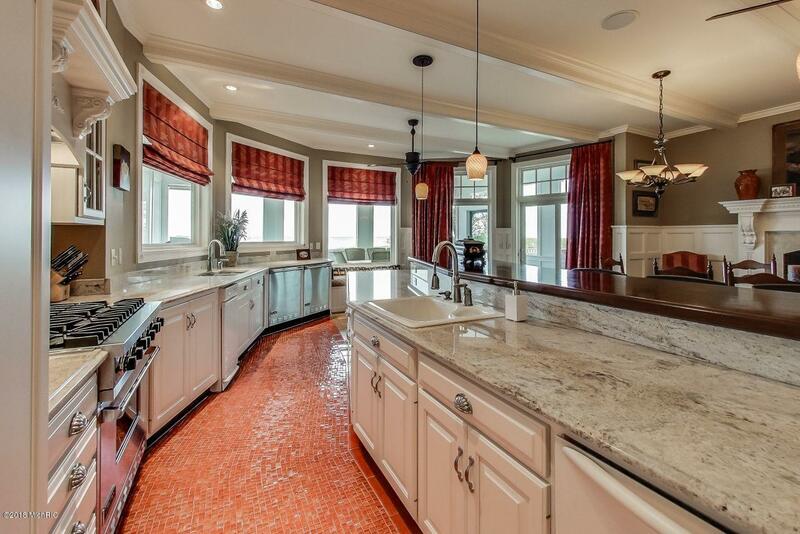 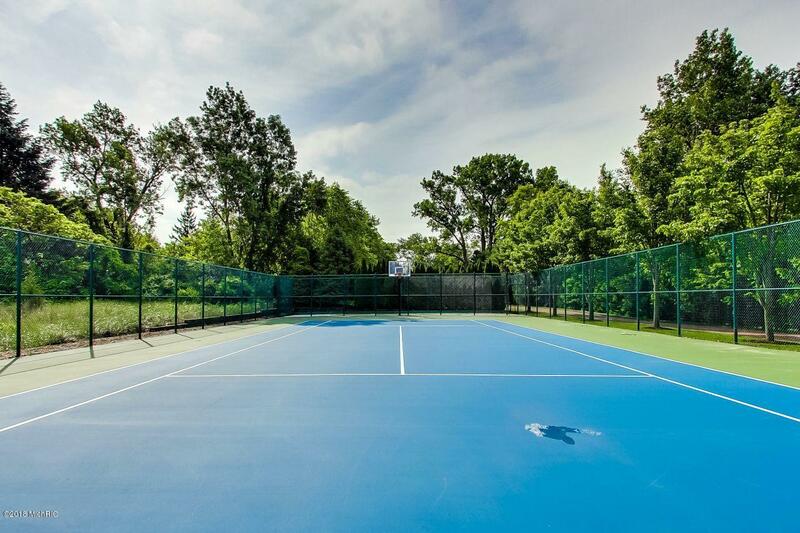 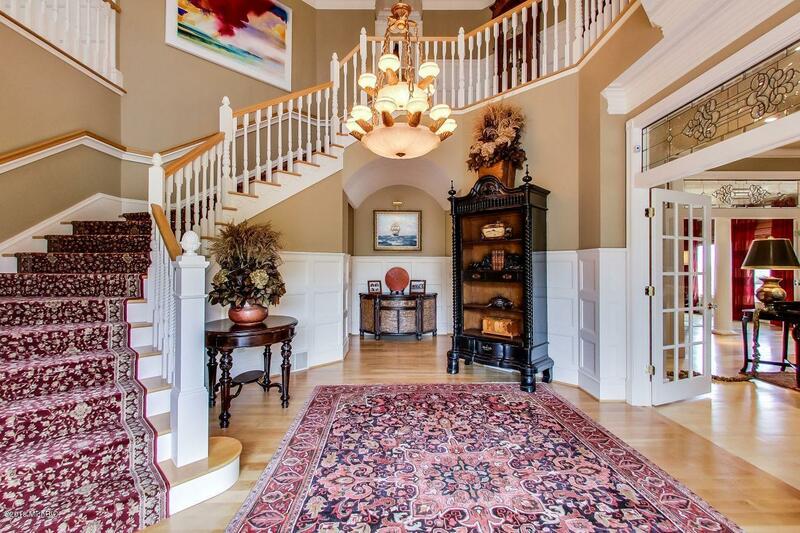 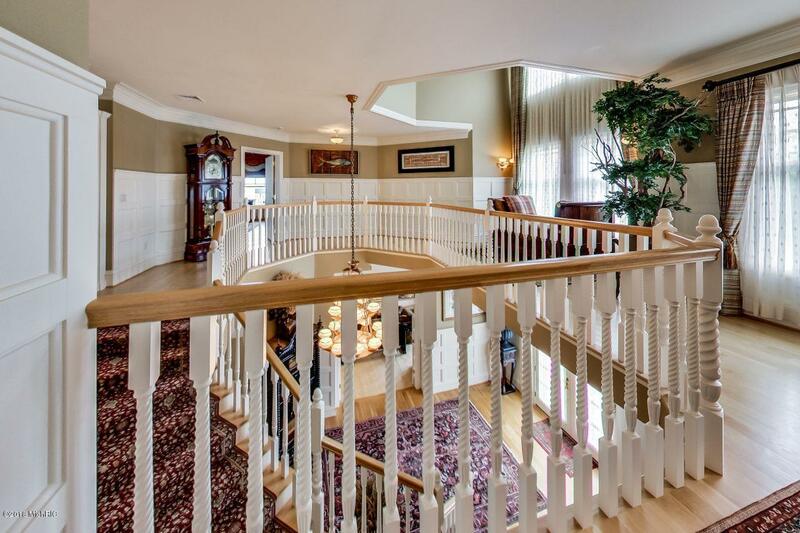 Unparalleled construction and state-of-the-art amenities in this 7 bedroom, 6 1/2 bath home. 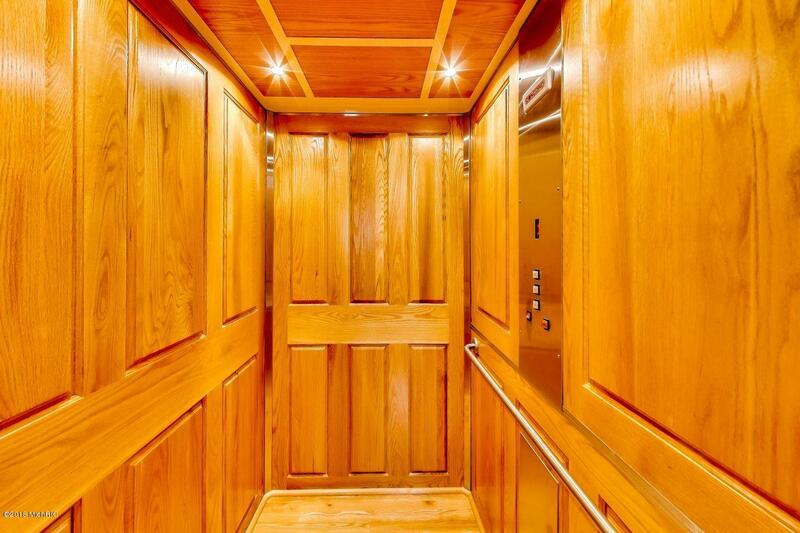 Features include elevator to all 3 floors, theater, large exercise room/gym, 5 fireplaces, surround sound throughout, custom millwork, coffered ceilings, hardwood flooring and built-ins. 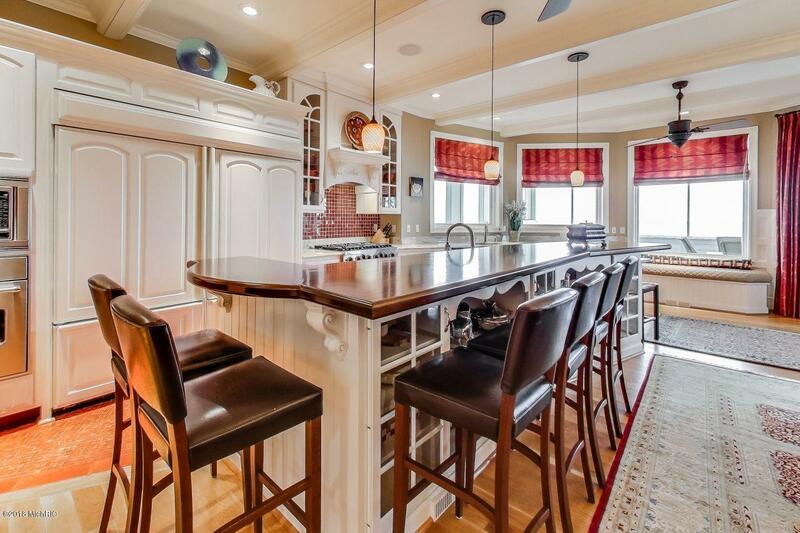 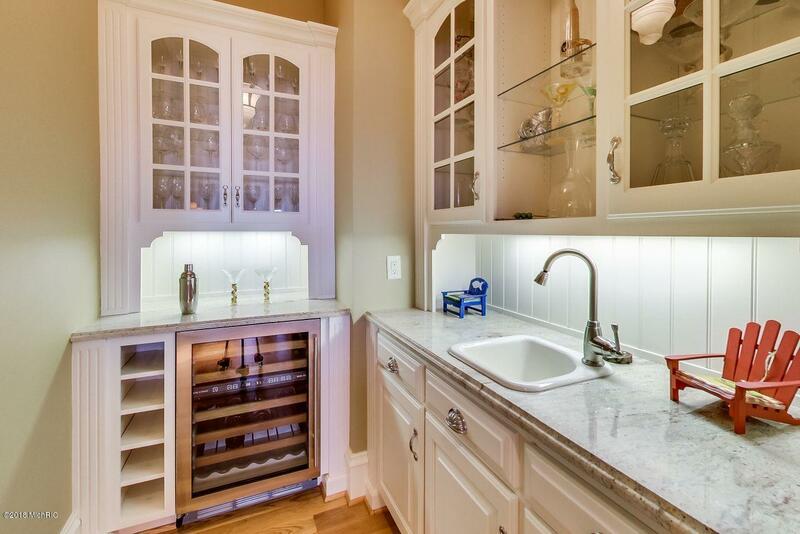 Chef's kitchen with butler's pantry, fireplace and wet bar. 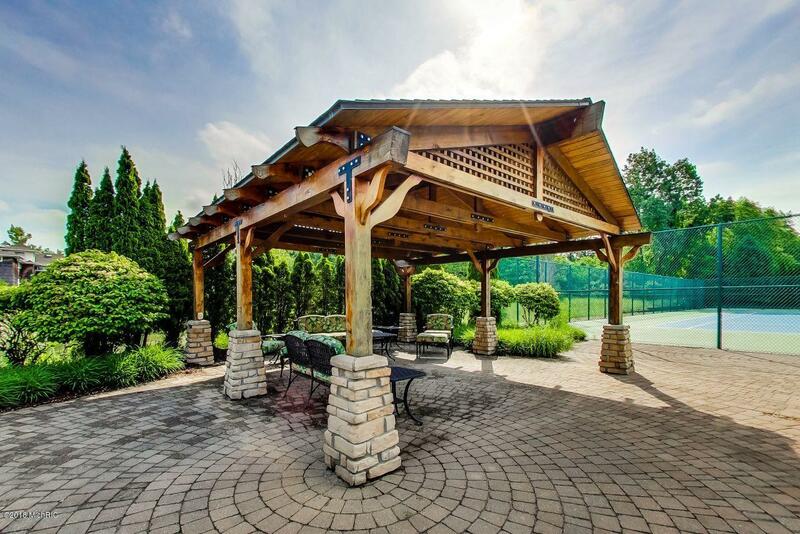 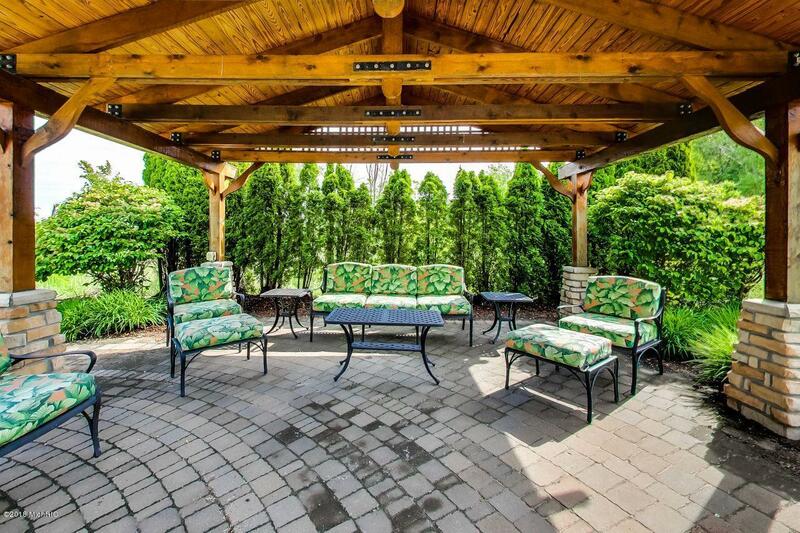 Pergola overlooking the manicured grounds, tennis and basketball court. 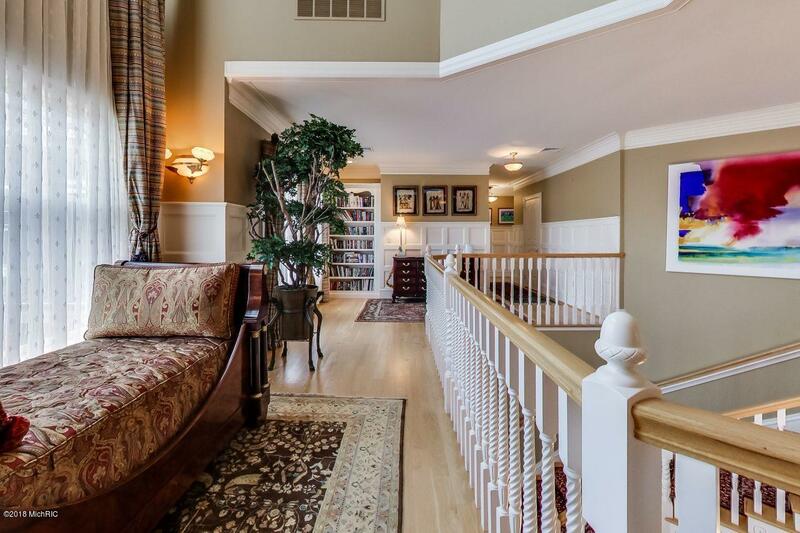 Walkout lower level offers a path to one of SWMI's finest beaches, no stairs. 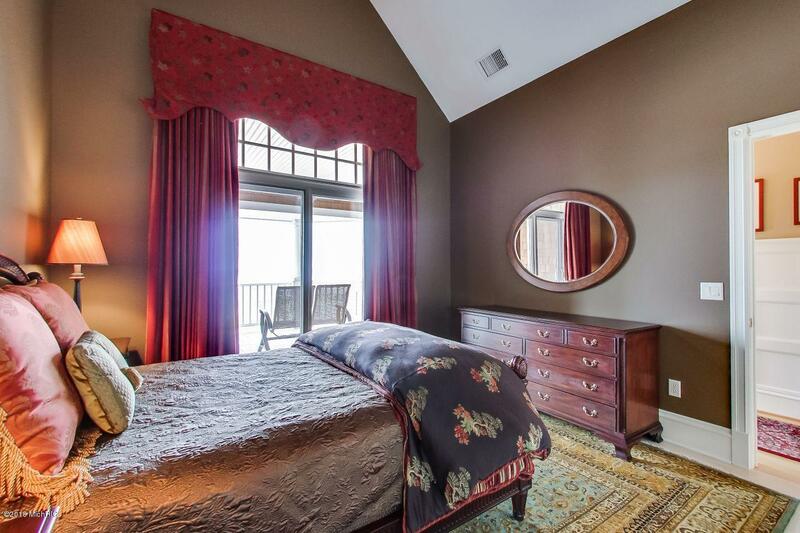 Enjoy the magnificent Lake Michigan sunsets from your own private paradise.